The research of Dr. John Gottman has uncovered the elements of effective communication between intimate partners. Would you like to know How to talk to your partner like you love them? What are the elements of exactly how we understand our partner when they’re trying to get through to us? Surprisingly, the research reveals that the actual words our partner choose to speak contribute only 7%, while almost 40% of the message comes from our partner’s speech patterns and tone of voice. Words that may seem harmless on the surface can become hurtful if spoken with a belittling, sarcastic, or disrespectful tone. We know that tone of voice is a vital aspect of communication. But research suggests that other elements such as timbre, volume, pitch and inflection, also play a major role. A fascinating new study analyzed hundreds of conversations recorded during marriage therapy sessions. Researchers from the University of Southern California recorded hundreds of conversations from marriage counseling sessions over a two year period. They carefully studied elements such as volume, pitch, and timbre, and paid particular attention to how the voice changes during moments of rising emotion. How the speaking partner’s voice influenced the listening partner was a key area of interest for the researchers. As a control, a second group of researchers tracked changes in affect such as blame or acceptance. The researchers confirmed that communication is less about what you say and more about how you say it. This research suggests that habitual voice and speech patterns were a more accurate predictor of marital progress, even more so than behaviors. “Psychological practitioners and researchers have long known that the way that partners talk about and discuss problems has important implications for the health of their relationships. However, the lack of efficient and reliable tools for measuring the important elements in those conversations has been a major impediment in their widespread clinical use. These findings represent a major step forward in making objective measurement of behavior practical and feasible for couple therapists,” said researcher Brian Baucom from the University of Utah. What are Key Elements of How Your Partner Hears You? Acquiring mindfulness in what you say, and how you decide to say it, is a key takeaway of successful science-based couples therapy. Yelling doesn’t work. Never has. Never will. 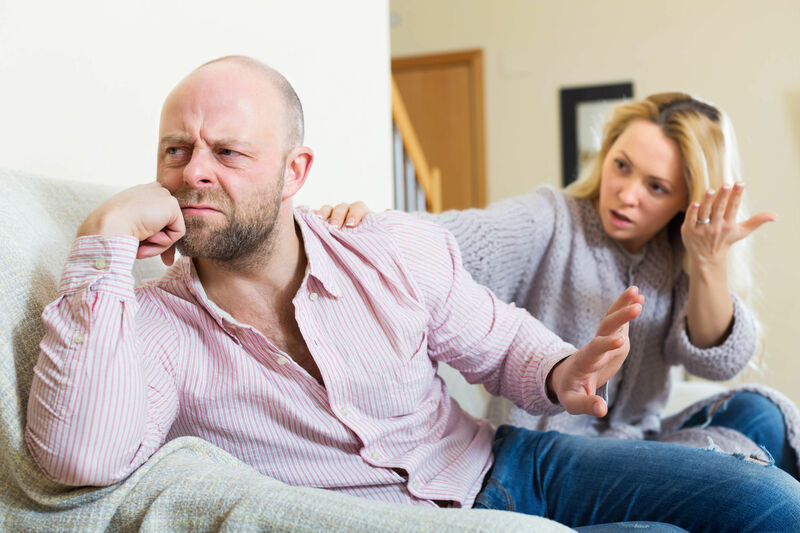 Yelling at your partner will just encourage them to shout right back, or flee from you. Either way, you are neither communicating or negotiating. Instead, when you talk to your partner, if you really want to to be heard, try slowing down. Learn to use silence, and pauses to emphasize what is most important you, and also to give your partner the time to reflect and respond. Timbre is a word that perhaps is less familiar to you. Timbre is the “color” or emotionality of your voice. Timbre is what the listener relies on to create a “felt sense” of exactly what you are saying. Start paying attention to the timbre (or lack of resonance) of your voice (i.e., angry, frustrated, sad). Learn to be more mindful how your emotions are being conveyed through your speaking voice. What pitch refers to is how high or low your voice sounds. Pitch can often be a window into your emotional state, or even how honest you are being. For example, when you talk to your partner, a high-pitched voice may suggest a defensive posture. If your vocal pitch trails upward at the end of a statement, it will sound more like a question and suggest to your partner that you are either uncertain or insincere. The next time you are in a heated discussion with your intimate partner notice how quickly you are speaking. Notice your vocal pace, and particularly how it may naturally be different from your spouse’s. If you tend to talk faster as you get more agitated, learn to slow down. Remember that you love your partner, and you both crave to be better understood. Often the best way to achieve this is to focus on helping your partner “get you.” This is often best done by slowing down. But when you talk to your partner don’t go tooooooooo slooooooooow. Going too slow, however, can be construed as condescending and even contemptuous. It conveys an embedded message of “I think you are an idiot.” Speak with a measured pace, pause for emphasis, and check in with your partner to see if they are staying regulated as well. One of the unfortunate aspects of modern life is that we hold the virtues of courtesy and politeness in what I like to call a “stranger space.” Courtesy and politeness belong to your loved intimate partner as well. Slow down. Take breaks when needed. When you talk to your partner, remember love always. Do you need some skills in talking with your partner?